Is your Fire Hydrant Service compliant with Building Fire Safety Regulations and AS 1851-2005 / AS 2419.1? London Fire and Safe can provide Fire Hydrant, Fire Hose Reel certification and maintenance for the Commercial and Industrial markets incorporating design and installation. London Fire and Safe have highly qualified personnel with experience in the maintenance, installation and certification of Fire Hydrant and Fire Hose reel systems you can be assured of a competent and professional service. Complete Commissioning/Certification Service to A/S 2419.1 – AS 1851-2005. Hydraulic pressure & flow testing on Water Authority mains. Booster appliance testing as per item 2.7 of AS 1851-2005. 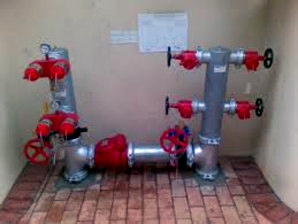 Fire Hydrant certification to AS 2419.1. 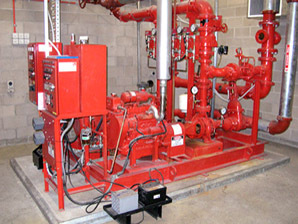 Commercial & Industrial fire sprinkler design, installation and maintenance. 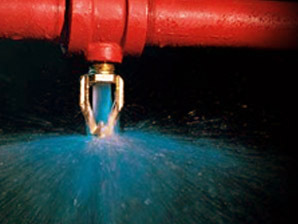 Residential & Domestic fire sprinkler design, installation and maintenance. Fire Hose Reel certification to AS 2441. Complete hydrostatic testing of fire hydrant systems. Hydraulic flow testing of Hydrant and hose reel systems. Written reports on performance testing and installation. Friction loss testing for boosted fire hydrant systems. Design through to commissioning and ongoing maintenance. Maintenance in accordance with AS 1851-2005.